On May 9th, 2014 I will be presenting at the AICPA National CFO Conference in National Harbor, MD, just outside Washington DC. In the presentation, I refer to a number of items for further reading and reference. Whether you are in attendance at the conference or not, I believe you will find these links of interest. If you attended the AICPA National CFO Conference and would like to receive my new blog posts in your email, click the Sign Me Up! button in the right column. This session is graciously hosted by Proformative, and there is no charge for attending this seminar. To sign up, please click on this link. Chief Financial Officers (CFOs) know that they will not stay in their current role with their current company forever. The CFO needs to ensure that his or her team has the right talent that can be called upon to replace them when they eventually leave the company (or the role of CFO). Strong CFOs also know that they are only as strong as the weakest leader on their team. This session will discuss the right way for the CFO to attract, retain and develop financial leadership talent for their team, while ensuring that they are setting the stage and preparing for their own eventual succession. CPE Credits are available for this session. For further information, please see details in the “CPE Info” tab on the sign up page. I have been writing Samuel’s CFO Blog for the past year and half. The goal of my blog is to connect with and make a difference to CFOs, those on the path to CFO, as well as those that work with CFOs. I am grateful to have found an audience that appreciates and is interested in what I have to say and share on the topic of the Chief Financial Officer. Is ‘being CFO’ an art or a science? I believe that ‘being CFO’ is more social science than pure science. Yes, math is a key part of the delivery of the finance group, but success at the financial leadership level is more about building successful relationships. Numbers that balance are a given. Getting things accomplished in a multi-stakeholder environment is what makes a successful CFO stand out from his or her peers. I am about to embark on a project that will challenge me in ways I have never been challenged before. The book, unnamed as of yet, will focus on what it takes to become a successful CFO. The goal is that my upcoming book will benefit the CFO of today and tomorrow. CFOs who read my book will not only be able to become better CFOs for their current employer, it will help them with their career as well. So, as I embark on this new and exciting project, I would like your input. I am writing this for you. What would you like me to include in your new book? Please email me and let me know what you would like to be included in your new CFO book. I came across this article that I was interviewed for that originally was published this past June. In doing a Google search, it came to my attention. I hope you find the article of interest. They might be the second-most important executives at many companies, but the role, demands and make-up of the chief financial officer vary immensely, as do the times—and the reasons—companies find themselves looking to hire a new one. For small- and mid-cap companies, there often comes a point when they “outgrow” their top financial executive and need to recruit their first CFO, someone who can do more than sign-off on the books every quarter. Larger companies continue to grow and evolve, and that can trigger a change. Or maybe your current CFO just up and leaves for a better engagement, CFO, CEO or otherwise. In every case, companies should see it as an opportunity to deepen their bench strength, maybe even bring in a star. Bear in mind, today’s top-drawer CFO needs to deal with a lot—handle the crush of the public markets, steer the company through major acquisitions, come up with innovative financing schemes and serve as a reassuring information conduit for analysts and large investors. As a rule, of course, the bigger the company, the more critical and demanding the job and, with it, the skill set required. In fact, some boards may be especially motivated to hire the “right” CFO, says Dergel. “Many times a CFO is hired with the idea that they are the back-up to the CEO, or sometimes you may have a cowboy CEO and the CFO is the eyes and ears of what is going on” for the board. He points to the scandal at SNC-Lavalin Group Inc. (TSX:SNC) over $56-million worth of undocumented payments to commercial agents in Libya that have gone missing. The company’s CFO reportedly objected to the payments but was overruled by the CEO, who has since left the Montreal-based engineering giant. “From a board perspective, do you want the CFO to be the CEO’s right hand or having enough independence and power to counteract a CEO that may not be meeting with the board as requested?” says Dergel. In Dergel’s decade of CFO recruitment, he has found that most firms have a wish list of abilities and specialized background for their future CFOs. That was certainly the case with Vancouver’s Avigilon Corp. (TSX:AVO), which designs and manufactures high-definition video surveillance systems. The company’s original CFO, who was a founder of the company, made it known that he would stay in the post until the company went public at which time it would search for a replacement. The board’s wish list was a finance head who had public company experience, was a chartered accountant if possible, had been in a fast-growing company and had been in the technology sector. The title is a quote from Fred Wilson, a VC and Principal at Union Square Ventures, who recently wrote a blog titled “VP Finance vs CFO”. It’s an interesting blog – you should read it. It certainly got a lot of attention in the social media space (CFO, Tech and VC subsector) in the time since it was published 72 hours ago. I chose this quote to write my blog post on because it was the meatiest and juiciest for me to work with. In addition to my own direct take on the blog which I recently wrote – Does a Small yet Growing Business need a CFO? – I have written blogs that have touched this topic from different perspectives. 1) CFO Readiness. When is a company really ready to take on the world? Are they really ready for a CFO? 2) Promoting the VP Finance to CFO. Fred says that a VP Finance is about “what happened” and a CFO is more about “What is happening right now”. I do agree with him. But that doesn’t mean the VP Finance cannot become a CFO. Here is how. And here is how as well. 3) The Successful CFO. How does a CFO become a successful? They prepare a plan, map out their relationships, get coaching, and build a strong team to support them. 4) Hiring your CFO. How do you hire them? Read this. How do you NOT hire a CFO? Read this. Come to think of it, there are more than just these 4 ways. Just read all my blogs. And, to not miss any in the future, Click on the “Sign me up!” button on the right side of the blog. I have been following your advice saying that CFOs should build their relationships with the other executives in the company. The problem is that I find myself in more meetings now than ever, and this is taking up so much of my time that I can’t get the work done that I am supposed to. Do you have any advice on how to manage this better? I’m glad that you have taken my advice about building your CFO Relationships. This certainly will help further develop your CFO value. “Too many meetings” can be difficult to deal with. 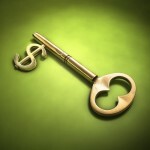 However, it is important to realize a couple of things as you build yourself into a Great CFO. Meeting control. Part of your relationship building with other executives requires an honest discussion with them about the value they need from you to achieve their goals, as well as how you can help. Just attending meetings is not the answer. You need to be attending the right meetings, not all meetings. You need to guide the other executive to provide you with an agenda prior to the meeting, so you don’t have to be at the table for discussions that are not relevant. Delegate. You brought up that you are too busy and cannot get your work done. Have you actually looked at the work you do to see if you cannot delegate some (or most) of this work? You need to assess how much of your work needs to be analytical and technical, how much of your effort needs to be ensuring that the work actually gets done, and how much of your time should be spent helping people in your organization make the best business decisions possible. What you shouldn’t be doing should be done by people on your team. The CFOs that I coach come to me to help figure out these multi-layered challenges. I do realize that these two tidbits of advice are general in nature, and may not be able to completely solve your challenges. Carry on asking yourself the right questions. Continuous self-improvement is the hallmark of a Great CFO. Never be satisfied. You can always do better. Ask Samuel: Is every CFO coachable? Note: This question was asked in the CFO Lounge. If you would like to know more about the CFO Lounge, I recommend that you read The Lonely CFO. 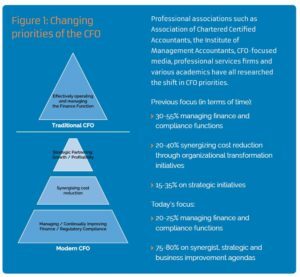 I have read your blogs about coaching for CFOs, and agree that many of my fellow CFOs could benefit from getting guidance on how to be a better CFO. One thing I have noticed, and you have not mentioned, is that some CFOs are not coachable – they just can’t change who they are. What do you think about this Samuel? You bring up an interesting point – not all CFOs are coachable. They are like Freudian lightbulbs – they have to ‘want to change’. 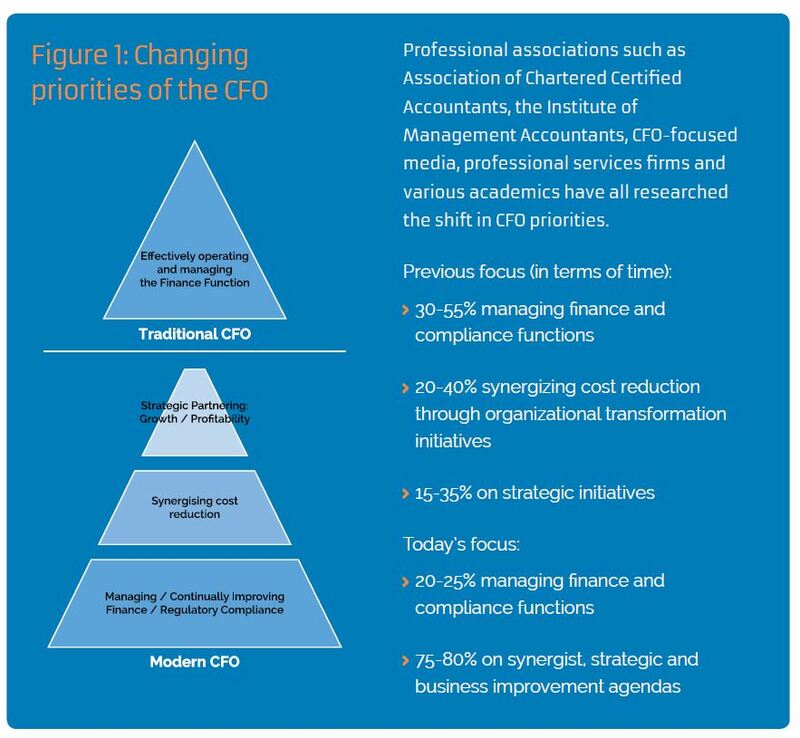 A Number of CFOs are happy with how they are doing things, and don’t see the need to improve. They believe that what has got them to where they are will continue to help them to grow in their career. You cannot believe the number of CFOs I speak with that find themselves in a job search that were totally blindsided by their need to find a new CFO role. And a good number these CFOs will admit that they did not read the writing on the wall – that they did not see that ‘how it was always done’ wasn’t good enough. My coaching program for CFOs – The Strong CFO Program (which you can read about here) works to coach CFOs, starting with their Strengths. On this blog page you can find a copy of my personal Strengthsfinder report, which is an example of the report used in my coaching program. That is not to say that CFOs that are not strong in “Learner” cannot benefit from coaching – it is just that they don’t go out of their way to continuously improve. Ask Samuel: How is the CFO job market? I’m a CFO that is considering looking for my next career opportunity. Business conditions seem tough, and I’m concerned that this is not a good time to look for a new CFO role. How is the CFO job market? You ask a question that almost every CFO I speak with asks, whether they are actively looking for a new CFO role, or are just keeping an ear open to potential opportunities. The short answer is: CFOs are getting new jobs, even in a difficult economy. How do I know this? Simple. My firm tracks CFO Moves across the United States. As of last week, we started sharing this information with the public in our sister blog, CFO Moves. You can view our blog, which is updated every Monday with CFO Moves for the previous week. (If you want to get a weekly update on these CFO Moves, click on the “Sign me Up!” button on the right side of the blog). So, to answer your question: How is the CFO job market? Good. Can it be better? Absolutely. What can you do about it? Be visible, build your CFO brand, network and smile (no one wants to hire a Grumpy CFO). If you would have a question to Ask Samuel, click here to send him your question. Just because you have the skills to be a solid Controller, this does not mean you have the right stuff to become a Great CFO…. but it doesn’t mean you can’t become a Great CFO. To become a Great CFO, one needs to be able to move beyond the technical of accounting and finance. Having great Excel skills, being a GAAP Geek or being able to add 100 numbers in your head within 60 seconds is not what a CFO does. If a CFO needs to these things, there is a good chance a CFO will hire you. That might be why you were hired, but these skills will not get you the CFO job. So what do you need to work on to become a CFO?